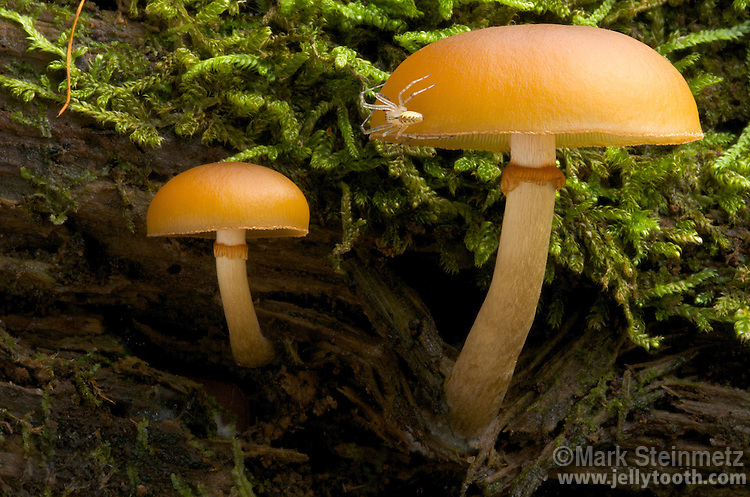 Deadly Galerina and spider (Galerina marginata, formerly Galerina autumnalis). This beautiful and common mushroom is deadly poisonous to humans, containing amatoxins that destroy the liver and kidneys. Widely distributed in North America and Europe. Mohican State Forest, Ohio, USA.